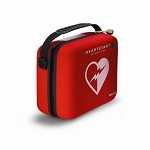 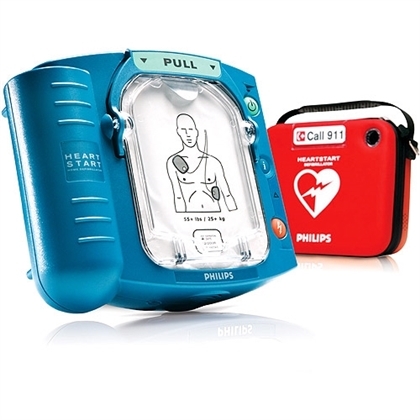 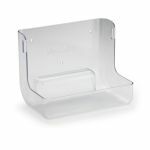 1 FREE HeartStart OnSite Slim Carrying Case, a $101.00 value! 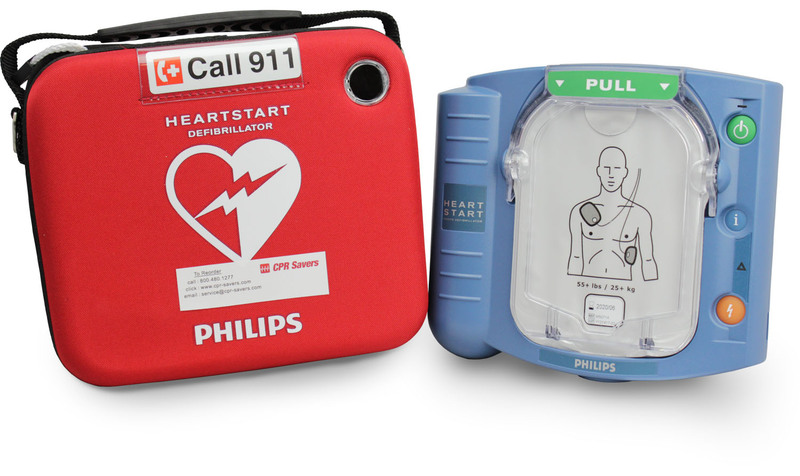 Philips HeartStart Defibrillators enable virtually anyone to treat the most common cause of SCA by delivering a shock quickly and effectively, wherever it happens—at work, at play, while traveling—providing the power to save a life. 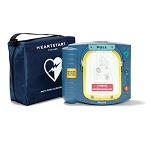 Using the HeartStart OnSite Defibrillator is simple. 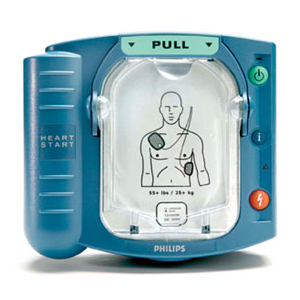 Pulling the green handle activates the defibrillator and its voice instructions and visual icons. 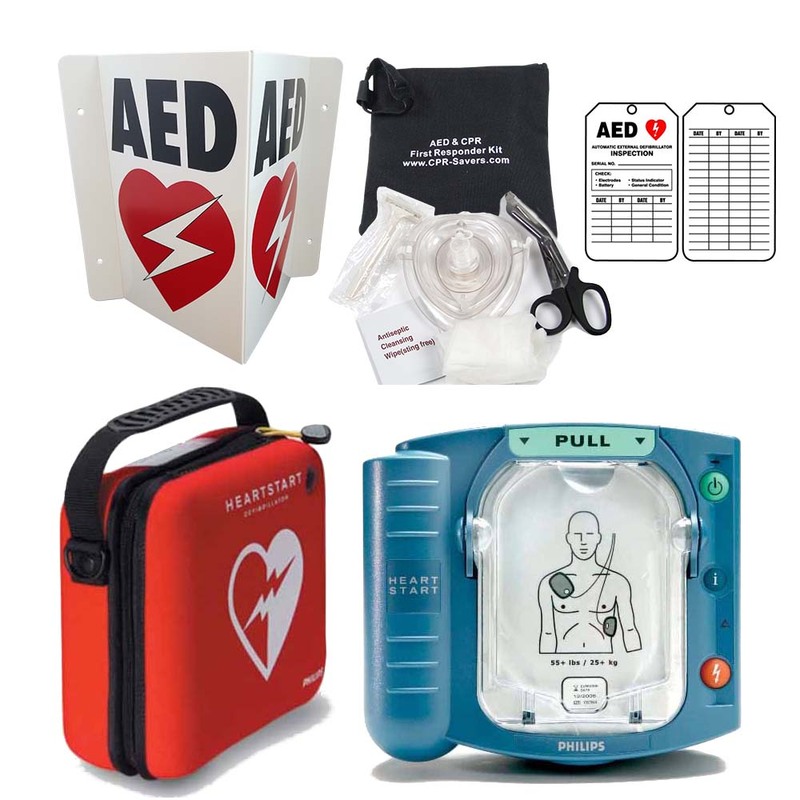 These instructions are paced to your actions, to help guide you through the entire process—from placing each pad on the patient to delivering a defibrillation shock and performing CPR. 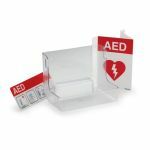 The cartridge contains two adhesive pads that are placed on the patient's bare skin as indicated by the pictures on the pads. 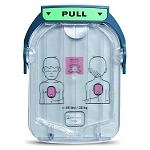 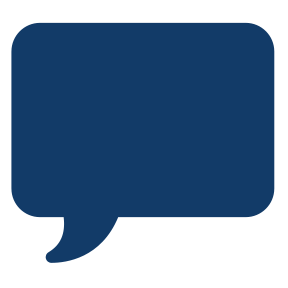 The pads are "smart"Â because they sense when they have been removed from the cartridge and when each has been applied to the patient, adjusting the voice instructions to your actions. 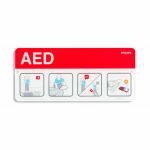 To practice your skills, a special training pads cartridge (adult or infant/child) can be installed in the defibrillator. 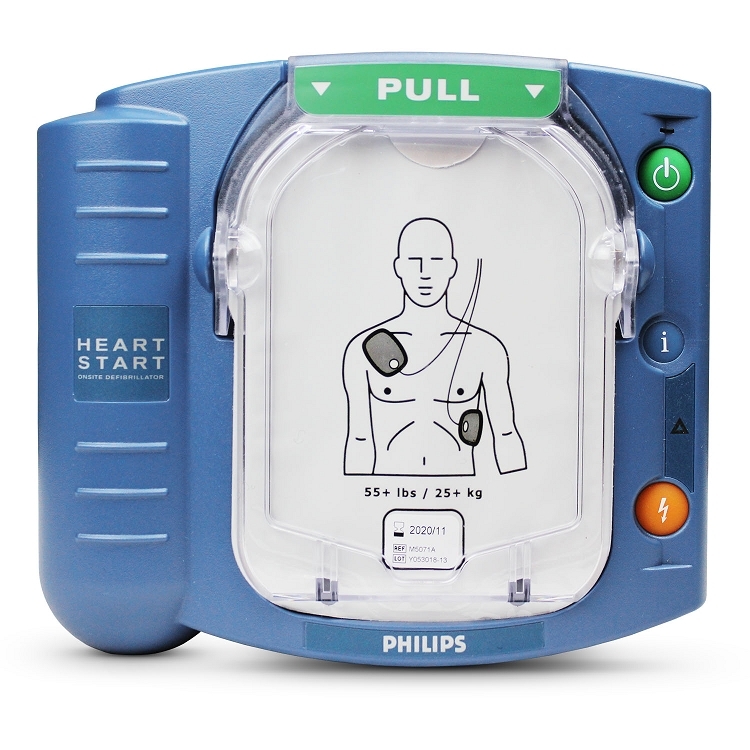 It disables the defibrillator's ability to shock, while walking you through patient care scenarios. 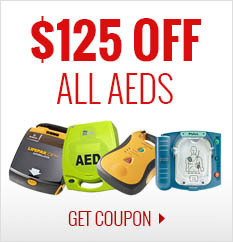 Optional carry case not included, but available.